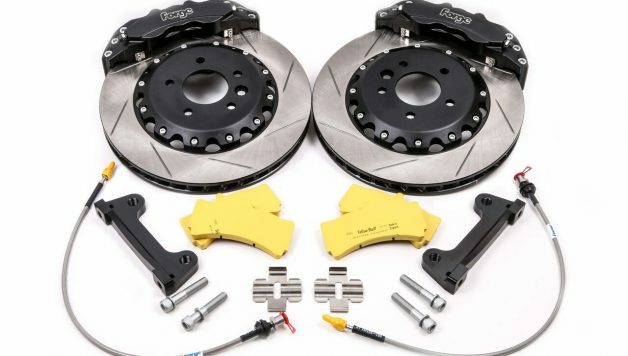 Forge Motorsport has released a superbly engineered high-performance big brake kit for all B8 chassised Audi A4 models. 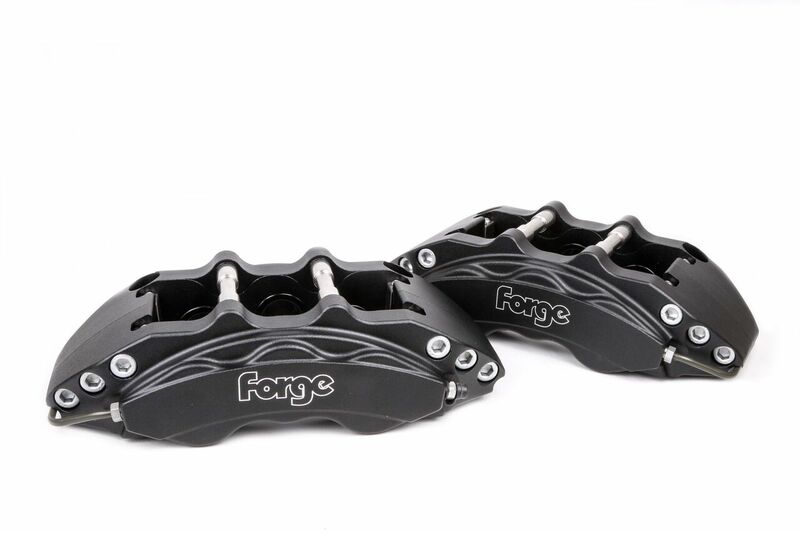 Based on the well-proven 6-pot caliper kit that has been the impressive stopping force behind so many of Forge’s other BBK conversions, this stunning kit features 356 x 32mm discs to really endow the recipient car with some serious stopping power. 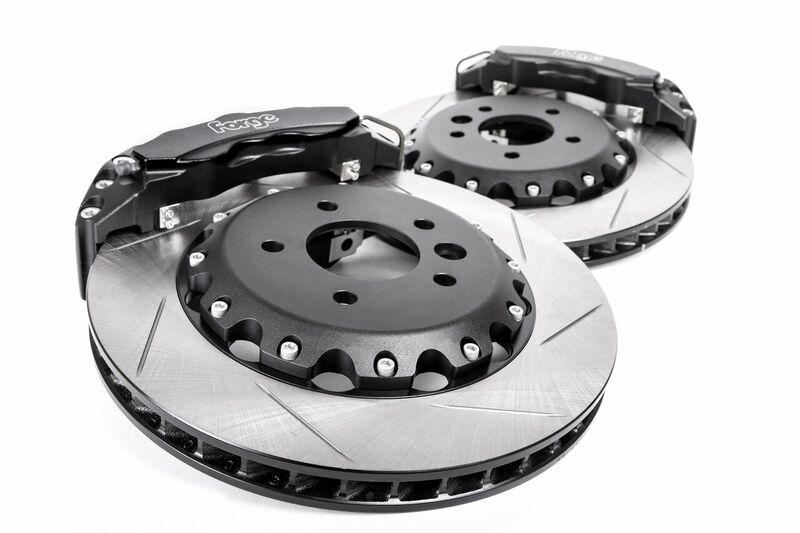 The discs themselves are of a two-piece design featuring a precision-machined alloy bell and track-quality disc to ensure consistent stopping with zero fade. The disc itself uses a curved groove to remove residual pad material and ‘face off’ the braking surfaces to eliminate squeal and keep pedal modulation consistent. 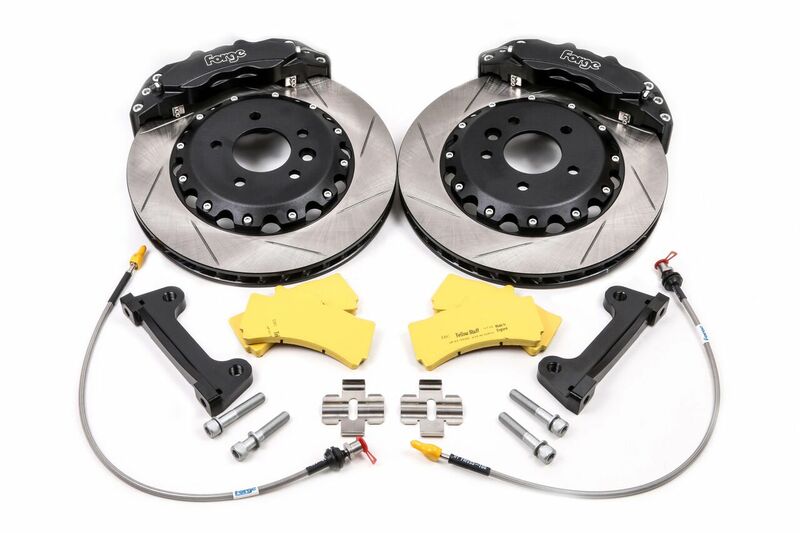 This is a very comprehensive kit, so naturally includes Forge braided brakes hoses, mountings and high-performance EBC fast-road/trackday pads. Everything needed is included. Due to the immense size of this brake kit, owners may still need a spacer to effect safe caliper clearance. 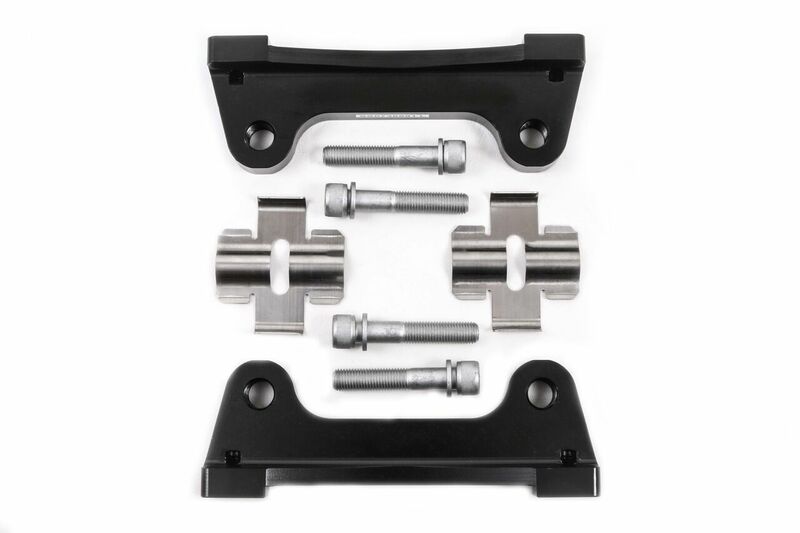 This kit is suitable for A4 1.8/2.0 TFSI (B8/B8.5) and all other A4 models sharing the same hub architecture. 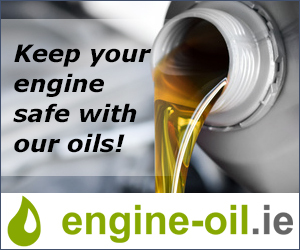 Priced at a very reasonable £1250.00 + VAT, it’s a great way to up your track pace, improve your safety – and enhance your car’s looks, all in one easy step.